It’s safe to say that no parent wants their child to grow up to be a failure. Some parents go to great lengths to ensure that their child is just as successful as they are, if not more. But how much pressure is too much? Research has shown that “helicopter,” or overbearing, parents can actually have a harmful effect on their children by expecting perfection. Researchers in Singapore conducted a study on 263 seven year-olds. They studied the kids for five years, collecting data at ages eight, nine and eleven. At the beginning of the study, the children were given an assignment to solve a puzzle within a certain period of time. The children’s mom or dad was present for the task and was allowed to “help” the child when the parent deemed necessary. 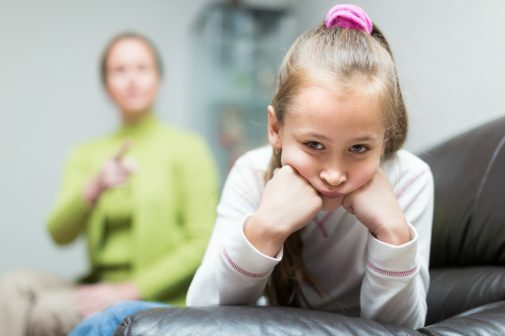 Children whose parents frequently intervened during the task expressed unhealthy levels of self-criticism and perfectionism, along with signs of anxiety and depression. The researchers also found that these levels increased each year when follow-up assessments were carried out with similar assignments and situations. Some parents have a tendency to place unrealistic expectations on their children. “We see it probably the most in academics, sports and other extracurricular activities,” notes Dr. Aaron Traeger, an Advocate Children’s Medical Group pediatrician at Advocate BroMenn Medical Center in Normal, Ill. “There is a point when the child and parents are thriving and things are going well, but then the stress starts to build, until a breaking point, where we start to see physical illnesses, or vague complaints by the child that cannot really be explained,” he adds. Reasonable amounts of pressure imposed by a parent, teacher or coach can be a good motivator for a child, but when the pressure is endless and intense, the child is affected emotionally and physically, according to the American Academy of Pediatrics (AAP). As stress persists, the child may be more vulnerable to illness and suffer from fatigue, insomnia, tantrums, depression or anxiety, and often even academic failure. Children become fearful of making mistakes when their parents expect them to be “perfect.” Students with overbearing parents may have trouble admitting shortfalls and forego asking for help, even if they truly need it, explained Ryan Hong, leader of the study, in a press release. The ability of children to handle stress improves if they have been successful in overcoming obstacles in the past, as well as if they believe in their own competency. Children who feel loved and supported by family and friends are generally successful in managing and coping with future stressors, the AAP says. Wonderfully written article! I enjoyed it very much and also find the information enlightening. Perhaps much of what our younger generations (myself included) are experiencing in way of anxiety and depression can be explained by helicoptering parents? That may be placing the blame to generally, but its food for thought. Again, great article! Can’t wait to read more from you!